The cafe just nearby my place and I never visit them since they open last year. Honestly, feel quite guilty on that, because I haven't try their dessert and they said the dessert is to-die-for!! 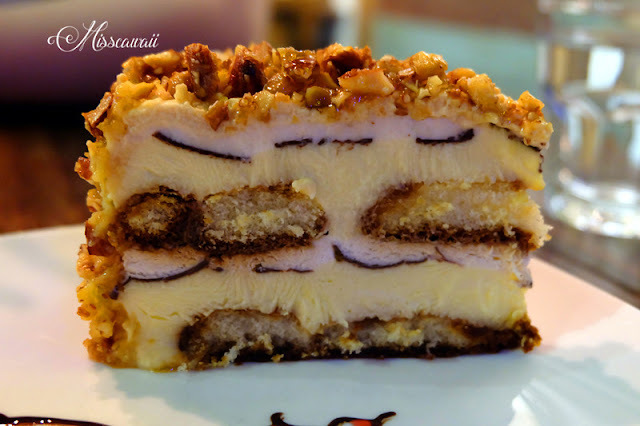 Their tiramisu has been famous for so long and I can't wait for anymore, finally I'm here! 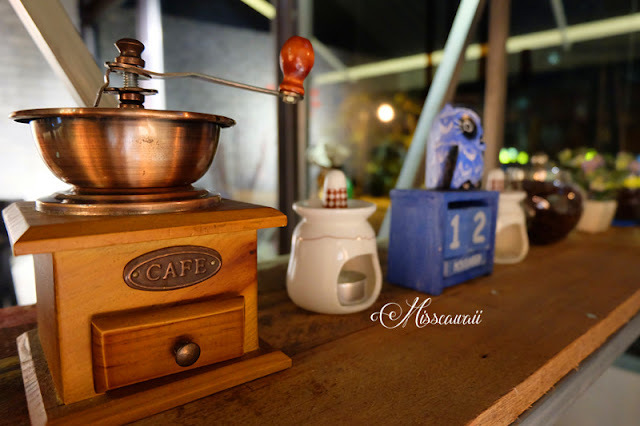 Making my dinner with BFF, and I can't wait to tell you more about the food in this cafe! The ambiance is design more on artistic. You can see few musical instrument place in the cafe. The cafe actually is a hidden cafe and if you are not always hangout this area, I think not anyone really realize their shop. Although facing the main road, but so sad to said that, lot of trees are block their cafe. This place just so good for photograph. The chicken juicy inside and crispy outside. Served with secret sauce, mashed potato and garden salad. The mashed potato prepare freshly and you could bite the potato cube softly. But you have to wait at least 15 minutes for this dish. The spaghetti have not much ingredient, but the taste just freaking nice! 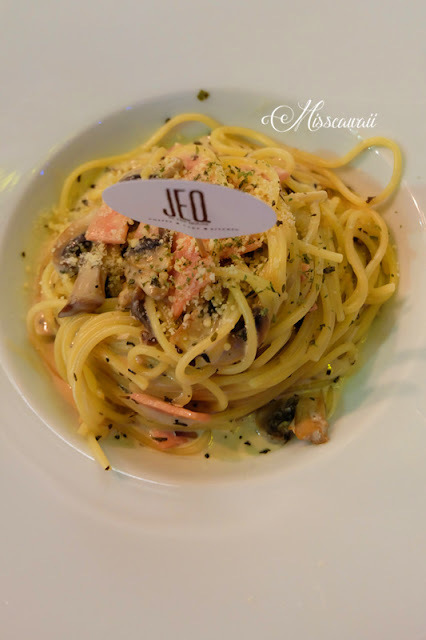 This is one of my recommended spaghetti in their house! 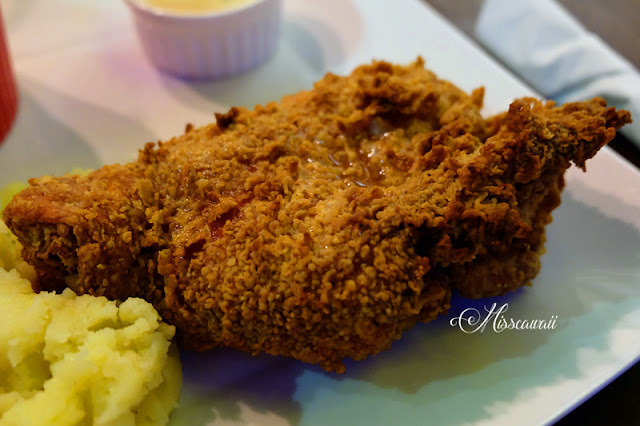 The sauce is creamy enough and the shell crab taste is good. I don't know how to explain what is make me feel awesome of this dish. You just go and try, and you will know it. The spaghetti cook with ham and mushroom with creamy. The sauce just a bit similar with Soft Shell Crab Spaghetti. 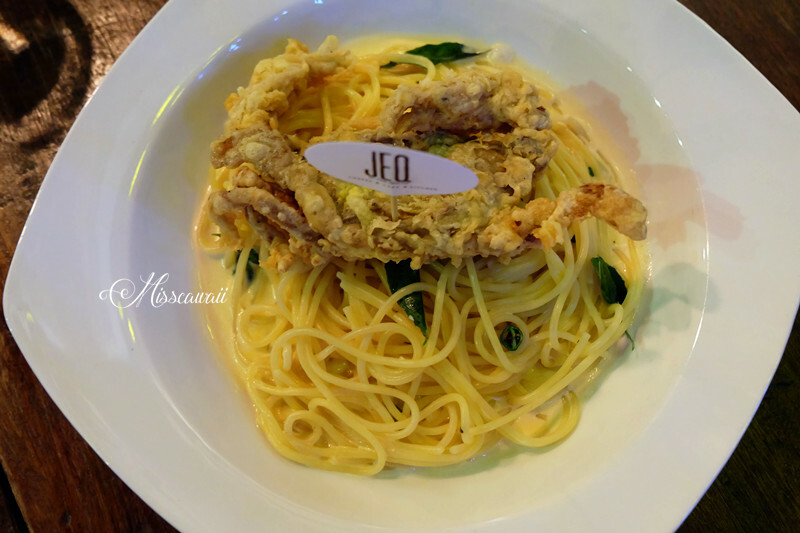 By the way, Soft Shell Crab Spaghetti actually have a bit salty, compare to this, not too salty and just good. What is the special in their pizza? 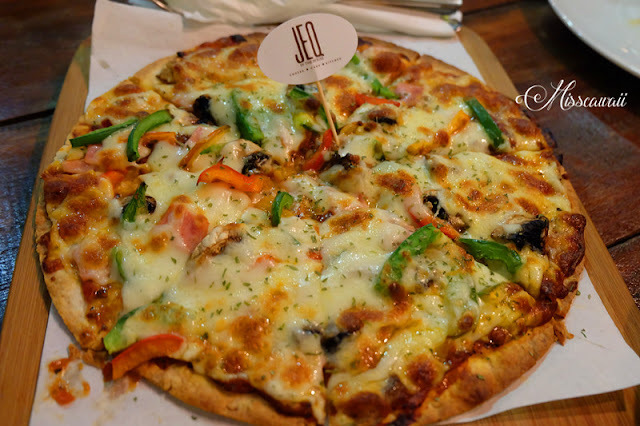 The pizza made in thin crust, come with ham, peppers, mushroom, and cheese fully cover on top. 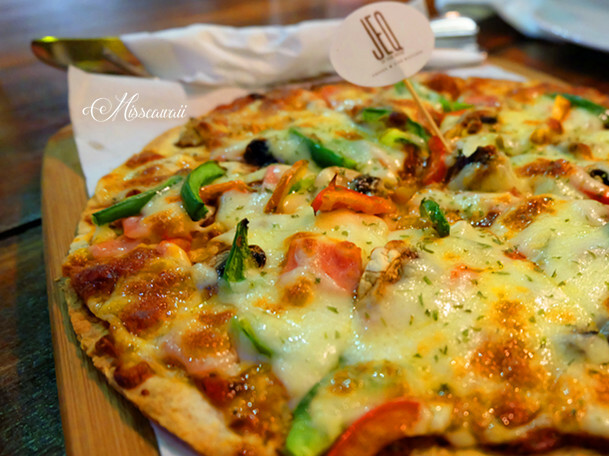 The pizza taste really good! 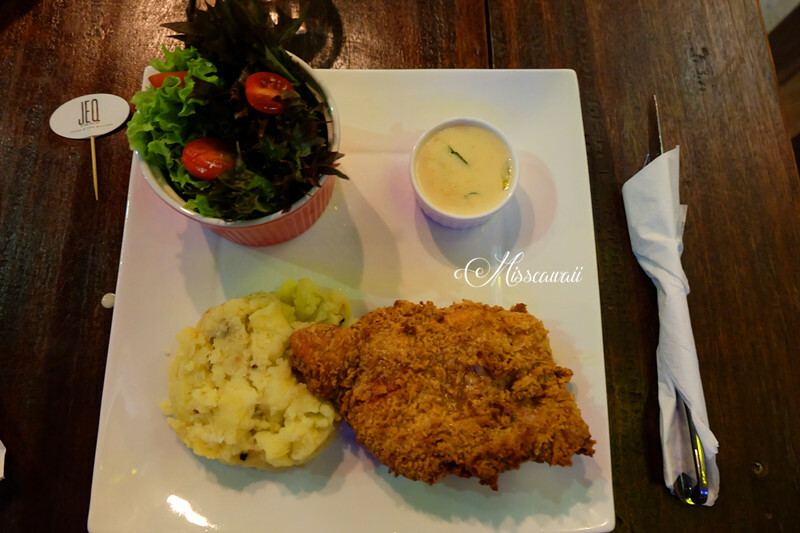 This is one of the must order if you are here. I have to say how sweet of the barista draw this on the plate and serve to us! They have not much cakes serve in the house, so the cake is freshly baked everyday. The tiramisu is soft and the alcohol level just good. I like their nut mixture on top because I love to eat crunchy and the flavor just mix and match with the cakes. Since we order a lot main course, and not enough space for their another cakes - Macadamia Cheesecake. So bad! The ambiance is cozy since few table is serve, you will not feel very pack when taking your meal. I coming for dinner menu, and most of the working adults come here for dinner after off from their work. It's not so crowded yet, and I feel comfortable with it. Price for the cake is a bit expensive, but it good for once for a while. I will come back for their Macadamia Cheesecake. Oh my!!!! the cakes look so different than others...and it look so inviting. Oh my god! Oh my god! 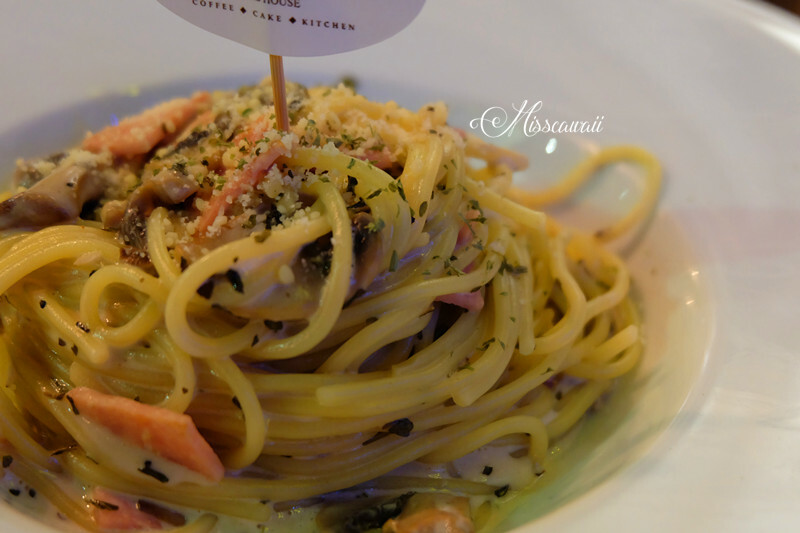 The food looks so nice especially the soft shell crab creamy spaghetti! Yesssss! This is so niceeeee! 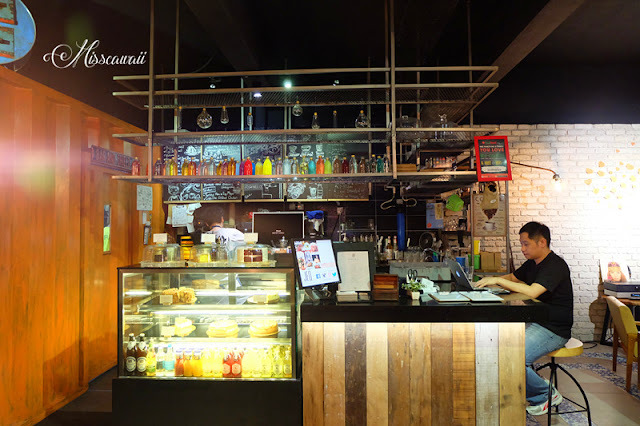 Want to try their alcoholic tiramisu next time when i visit the cafe. ;) the dishes look delicious too! The panda so cuteeee. 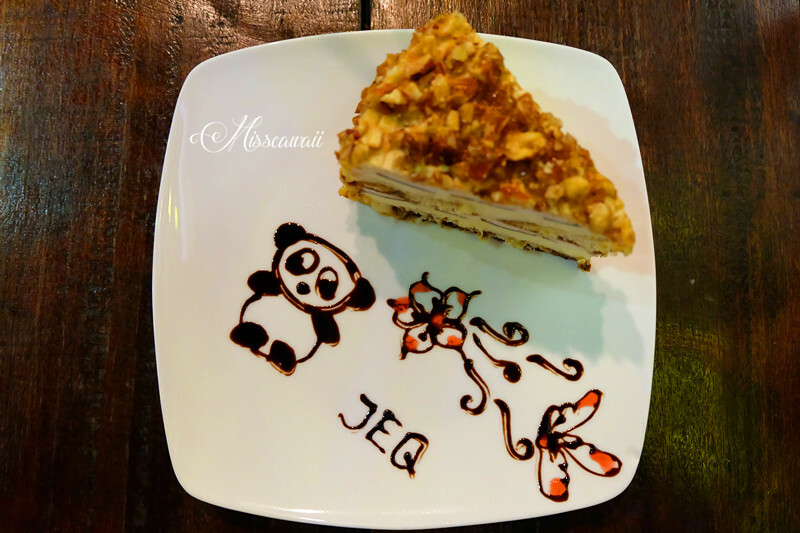 Their macadamia cheese cake got me drooling! 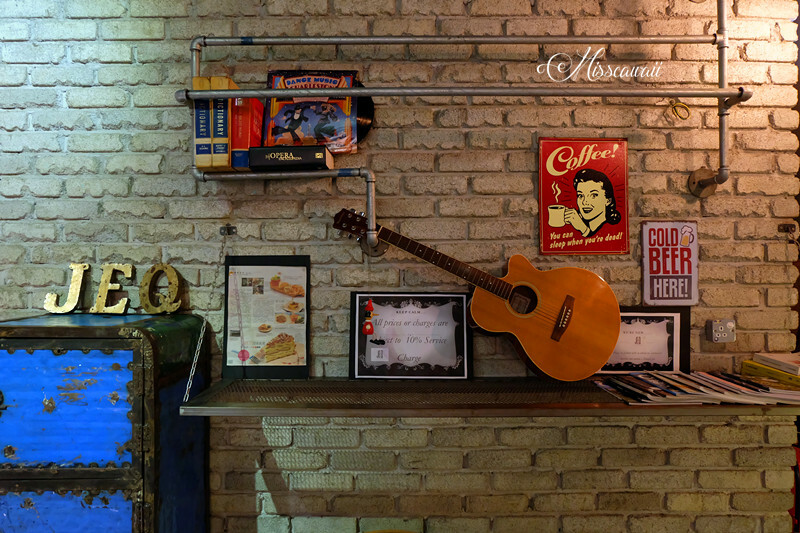 I love to discover hidden cafes as well!! And so cute they even personalize the dessert for you. Although I am not a dessert person, the cakes look so delicious! I also like this artsy decor. I could just sit and lepak the whole day there. omg, that tiramisu looks mouthwatering! I must agree their environment is warming aswel. Macadamia Cheesecake looks great! Wish to try that too. Hi kakalina, that is tiramisu, you should try that! The food certainly looks good. And the ambience is nice too. 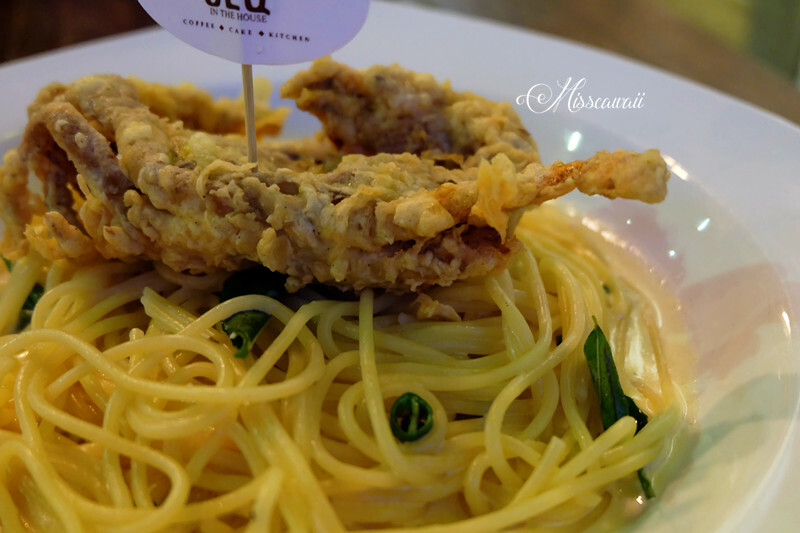 Soft Shell Crab Creamy Spaghetti looks delicious with cabonara sauce. Need to check this out this weekend. This place look nice and I staying there too. i will go and give it a try. Hurray. new place to visit again. 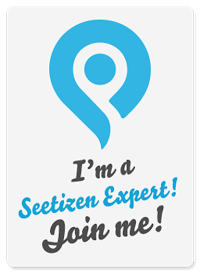 I've heard tons of reviews about this place! 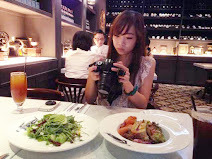 Your photos look amazing and making me so hungry now! Thanks for the compliment Miriam, yes the food really good. 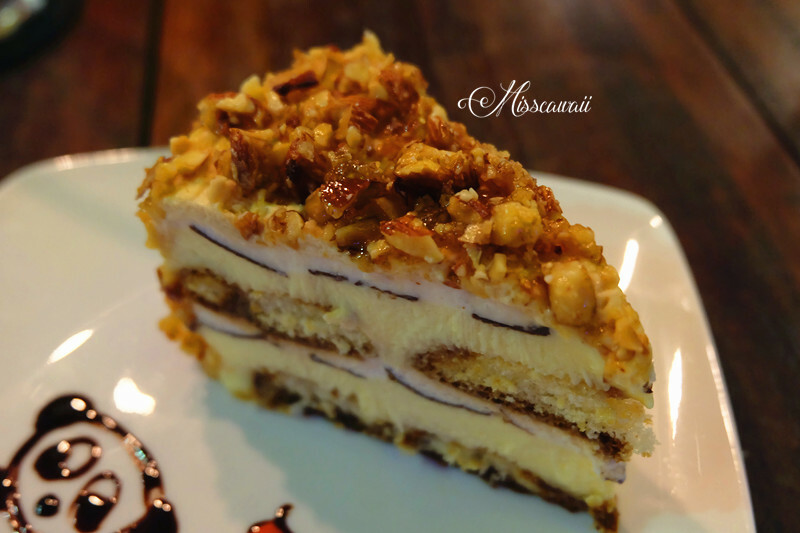 the tiramisu really look great !! wish to try it as well !! 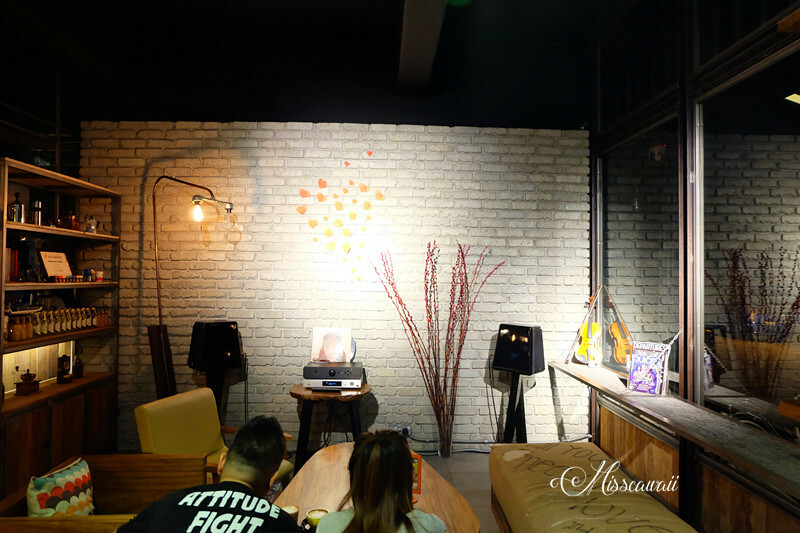 The place look so comfy! I should pay a visit hmm! !